FastFund Online Nonprofit Software Solutions provides cloud-based fund accounting, fundraising, and payroll. Each module can be purchased individually or seamlessly integrated. FastFund provides an easy and affordable way to help your nonprofit become more sustainable and accountable to your funding sources. Why FastFund Nonprofit SaaS? Save Time and Money! One seamless integrated solution: One database for nonprofit fund accounting, fundraising and nonprofit payroll. Purchase nonprofit fund accounting, fundraising, or nonprofit payroll modules separately or as one integrated solution. Free Technical Support and free training webinars. Drastically reduce IT expenses: no software to install or maintain. Use Windows or Mac computers. True nonprofit fund accounting: generate FASB-117 compliant financial statements, and more. Provides full accountability: track all donations by designation and restriction and more. Improves donor relations: Track all donor activity; built-in member, alumni and volunteer tracking. 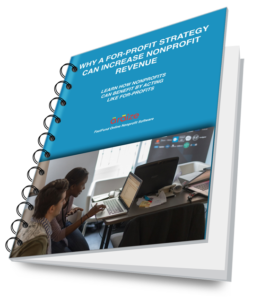 The biggest benefit of SaaS (Software as a Service) for nonprofits is lower cost of entry. With FastFund Online, you pay only for what you need, without incurring additional expenses for network upgrades to host your new applications. Since the software is hosted in the cloud, it is accessible over the internet and users can access it from Mac and PC computers and mobile devices. Little upfront investment – Pay as you go and cancel any time. Reliable cost forecasting – Fixed costs and no sudden increases. Cloud-Based, No extras required – Maintenance and upgrades are built into the monthly cost. The nonprofit does not need to hire IT staff or buy expensive hardware. Up-to-Date Technology – Ongoing technology is provided. Security and reliability – Data is more secure that on premiss. Best of all, data is backed up daily and additional services like virus protection and data encryption are added security features. Remote Access – Software is accessed over the internet and available everywhere. Scalability – As nonprofits grow, SaaS offers the ability to easily add functionality and applications in a cost effective way. FastFund Online is the most affordable, accessible and secure solution on the market today. With its low cost of entry, FastFund Online Nonprofit Software makes sense for nonprofits of all sizes. Araize has over 30 years of experience providing software and services to nonprofit organizations.